Present your best items with Auctiva's FREE Scrolling Gallery. 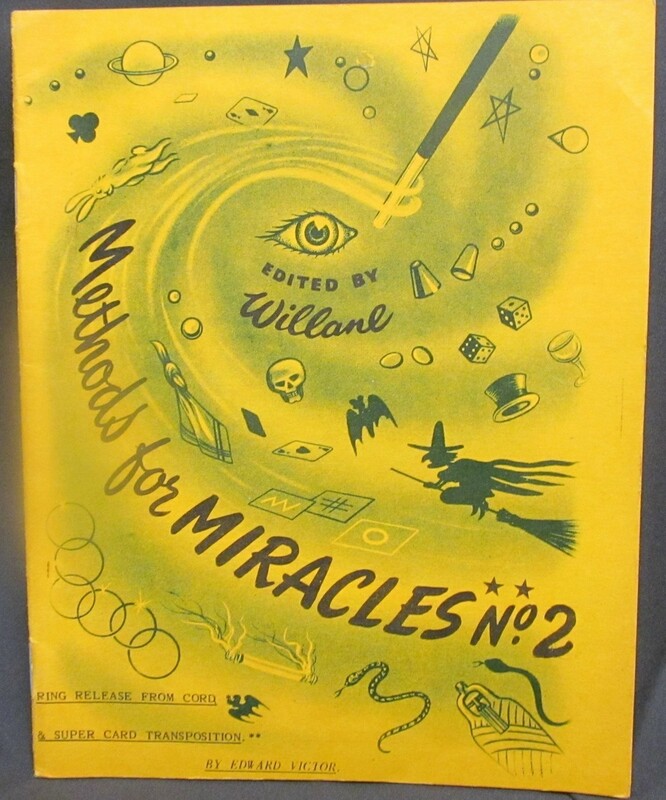 Methods for Miracles No. 2 by Victor Edward Willane, undated c 1950-1960 Staple bound in good condition. Text is clean and unmarked, binding tight, all staples and pages in place nothing loose, some tanning of pages due to paper used and age. Cover is clean and shows little signs of wear. Part of the Methods for Miracles series this is No.2 which covers ring release from rope and super card transposition. Contains the correct way to do these tricks, with complete details of how tricks are done. B W illustrations, 15 pages. Powered by Turbo Lister The free listing tool. List your items fast and easy and manage your active items.